Home » Blog » What is A/B testing and how can it help increase your conversion rate? Business owners with an online presence often use A/B testing to definitively figure out the most effective method for online endorsement and marketing strategies for their business. 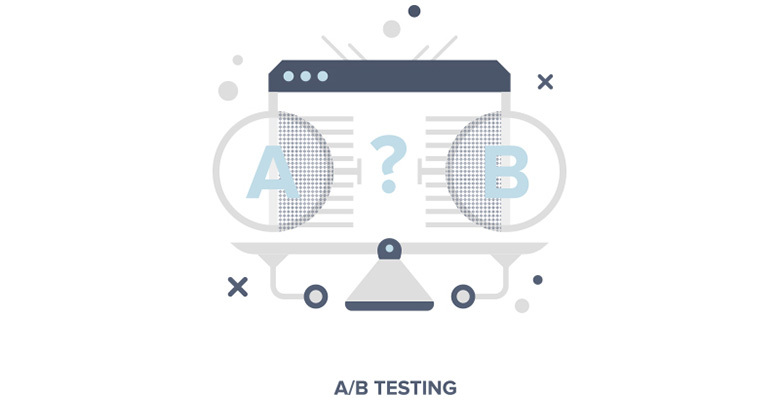 A/B testing can be used to test almost everything from website design and online adverts to sales and marketing emails. 2. What can you A/B test? 3. What tools can I use to A/B test? 4. What not to do when A/B testing? A/B testing (AKA split testing) is a great way to test multiple pages on your website to see which one performs the best. 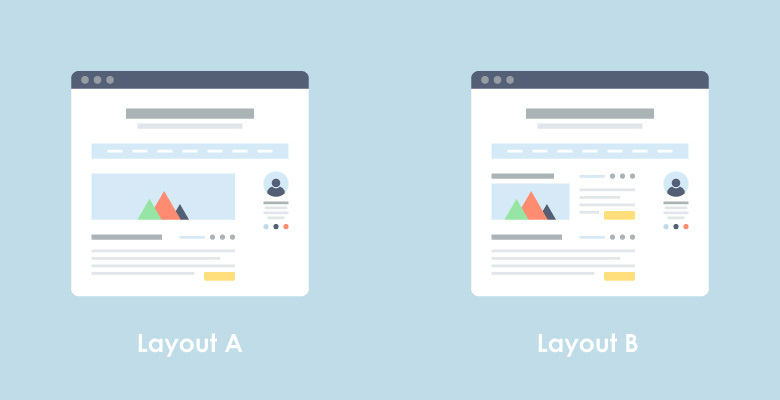 You can compare two web pages by creating two layouts (layout A and layout B) and showing visitors one or the other at random. The web page that performs the best against the specific goal is the winner. The following diagram outlines what A/B testing can look like on a website. Every website wants the viewers of that site to be converting into customers or users. The rate of which that happens is also known as a “conversion rate”. Let’s say for example layout A had 400 viewers in 10 days and 200 of those converted into customers, the conversation rate for ‘A’ would be 50%, and if layout B also had 400 viewers but only had 100 people convert that conversation rate would be 25%. This would mean that layout A has a higher conversion rate meaning that it’s a more successful version and should be implemented for all users. Headings – testing catchier heading tags that may attract more viewers or a higher search volume in search engines will help a lot in getting higher rankings for your page and drawing in more users. Subheadings – having relevant subheaders is key as it guides visitors to a specific section on the page. Paragraph text – changing your normal text on your pages to more relevant information about what your business does, and relevant industry-related content can help a lot by attracting more relevant visitors to your site. Testimonials – new viewers on your site have never heard of you – so you should aim to build trust with anyone coming onto your site and there is no better way than showing previous customer/user reviews on your site. 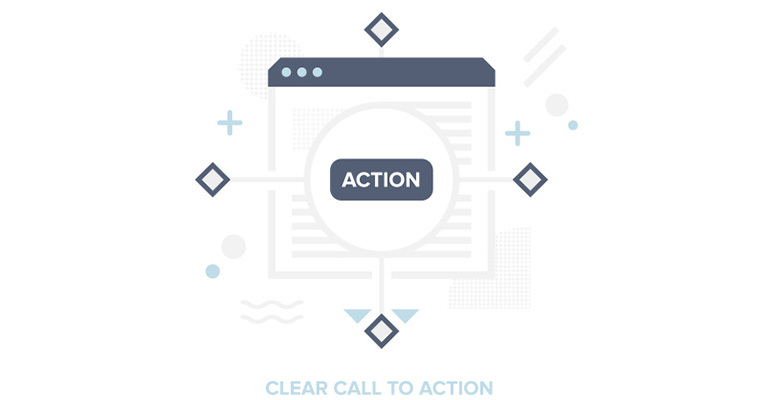 Call to action button – buttons can work better than just normal text links as they attract more attention because they’re usually big and colourful and placed with a lot of white space around them so that they stand out more than just an ordinary link. A/B testing can help determine whether to use buttons or text, and the style and position that works best. Images – experiment with the images you use on different pages. Content near the fold – the fold is the portion of the web page that’s visible in the browser when the page initially loads. Having eye-catching photos and/or relevant content near that fold makes users more intrigued and want to stay on your site for longer. Social proof – giving your brand a social media presence can help generate more business and can also get more people talking about your company, you can test displaying your social media posts on your site. What tools can I use to A/B test? A/B testing can be carried out with numerous tools, some are free and others cost per month to use, all have their own advantages and disadvantages. What not to do when A/B testing? If you have an eCommerce site product pages are also important to A/B test, especially your top sellers. Now although split testing can increase income for your business it is important not to go overboard and A/B test too many pages at once. It may seem like testing all your pages at once will save time and money but that isn’t the case, as if you see a positive or negative impact it will be difficult to work out what caused it. Testing two or more things at the same time such as a headline, banner and a call to action is known as a variate test. Variate testing is more complicated to run – a really good tool for variate testing is Optimizely. A/B testing is one of the best ways to improve your online marketing efforts. If you have any questions about A/B testing, website development or anything else, feel free to let us know using the online chat on the right or by visiting our contact page.